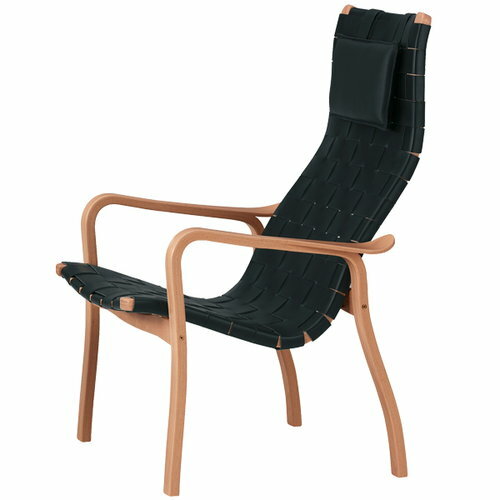 The Primo armchair is a timeless classic designed by Yngve Ekström. The chair combines a flowing oak frame with light and durable webbing. Primo adds a distinctive touch of Nordic design to many different interiors in both public and domestic spaces. Yngve Ekström (1913-1988) founded Swedese with his brother Jerker Ekström and Sven Bertil Sjöqvist. Swedese is a traditional Swedish furniture company that produces products that suit both in homes and public spaces. Swedese has had same values for over sixty years – the aim is to create beautiful, timeless and high-quality furniture with top of the line designers.